« Michigan Works! … Except when it doesn’t. In an earlier article, I suggested that the half-life of a tech career is fifteen years. Now that doesn’t mean that your career is over at fifteen years; it means half the people who started in technology have gone on to something else. By fifty, that number is likely 25%. By sixty-five … you get it. Let’s say you like technology, and want to stay in it, or at least stay around it. What could you do? Here’s one option: Take a lesson from this guy. Imagine your life completely different. No apartment rent, no heating bill, no car loan, no commute, no lawn mower, no lawn, no stuff to maintain. Imagine ditching it all, and getting all of your time back. Get on a boat and move to somewhere warm year-round — somewhere with a beach. Get a job playing music in some dive bar for tips, free food, and beer. What more do you need? It turns out that all that stuff is a huge anchor, a big money-sucking machine. The cost to crash at friends places (or the beach if you need to), to have a suit cases worth of stuff — well, you can earn that in three shifts a week at a dive bar. And it is a choice that many people make every year. Unless you are lucky enough to be reading this in your earlier twenties, though, you are probably saddled with the under-water mortgage, the piles and piles of stuff that you can’t untangle. What’s more, you have real commitments; friends and family you see not as holding you back, but as partners in making a better life. I hear you. 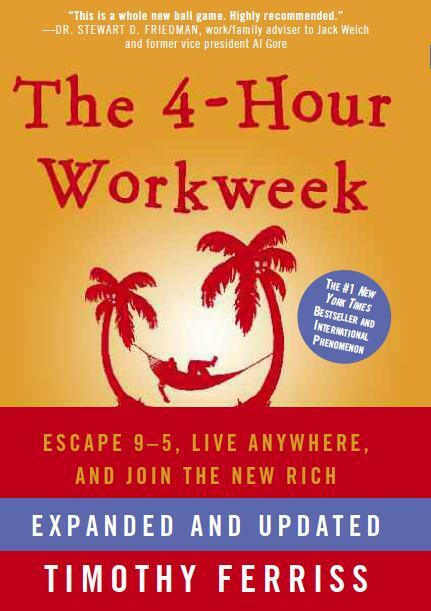 If your goal is to switch over to the Jimmy Buffett Life, you might start by picking up a copy of Tim Ferris’s The Four Hour Work-Week. The book is a rambling mix of ideas, mostly about generating a passive income selling products for far more than you pay for them, and outsourcing order entry and fulfillment. I can’t say I endorse all of his ideas, but there’s a least one I found fascinating – the mini-sabbatical. In the United States, if you surveyed most people, they would say they want the security of a full-time employee job in a standard place. But what if you threw that all away, choosing instead to embrace the contracting lifestyle? You might find some competitive niche in a large metropolitan area (or be willing to travel) and active seek contract jobs for three to twelve months. You live as cheaply as possible, then when the time comes for the contract to end, you go live the Jimmy Buffett lifestyle (or something close to it) in some tropical locale, preferably with universal health care coverage, for one to six months. You make sure you have internet, keep the rent contract month-to-month, and move back when you’ve got the next gig lined up. To accomplish this, you might either move closer to a metro area. You might have to downsize the life (a little) and be careful with money. But the key idea is this: Enjoy your retirement a little bit at a time, while you are young and healthy. Along the way you’ll move from the full-time employee race to the contract role, which I find can extend your half-life by at least ten, if not fifteen years. The best part is that these kinds of frequent changes (A) buy you time to figure out what to do, and (B) Force you to reconsider every few months. They prevent you from getting in a rut. On top of that, you’re now in business for yourself. From here, technical recruiting, subcontracting, whole-hog outsourcing, and all sorts of partnerships open up all kinds of possibilities. Of course you can’t — or, at least, it might be more charitable to say, this kind of whole-life change isn’t for everybody. What you can certainly do is take a careful look at how you spend your time, and money. Cut back on the stuff that takes your time. Likewise, look for ways to trade time for money, by which I mean, you spend less money and get your time back. You might not end up getting a huge chunk of time back, but you might extend your tech career a bit, and who knows? Get a month a year on a beach. It beats a poke in the eye with a sharp stick. More to come – including a couple of interviews with folks on this path. 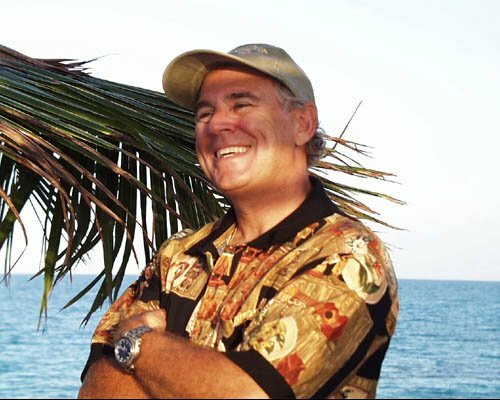 I sometimes wonder, is the Jimmy Buffet lifestyle to new American dream? Or is the Zuckerstyle the dream? Yesterday I saw a photo of a developer friend of mine with his wife, and his 2 adorable kids. I also read an article that said on average it costs $300k to raise a child to age 17. Another article said that couples with kids fight more. I replied, "That's because once you can pay your bills it's the only thing WORTH fighting about!" The American Dream hasn't changed. We all do what we feel is best to make a better life for our children, for the future, and the rest is gravy. I'm thankful every day that I'm lucky enough to be born in a country where a woman can earn a living with her mind and talent. The work I do is toward the goal that one day it isn't even a question if women should be paid equally, but silly to think it's ever been otherwise. Women will be paid fairly when more women have the courage to start companies. Thus, small company, one woman, less stable, but living my small dream. And it doesn't happen at a bar.